One of my all-time favorite painters. We are so blessed that he shared his talent with this world for as long as he did. I see the portrait of Bono not as if coming out of an expansive and mysterious space but rather as if ripples are emanating from Himself. As art as in life. Random comment from a person who enjoys your art: No news of 'Songs Of Ascent'? Please please release those songs. I gotta tell you... I got the deluxe version of No Line On The Horizon for Christmas a couple years ago. I started wathing the DVD that came with it... and heard 'Winter'. It is so beautiful, I couldn't help but cry when I first heard it. I still think it's the most beautiful song I've ever heard. I'm guessing 'Songs Of Ascent' is something like that, so pleeease release it. Wow , i want a print!! What an amazing piece of artwork, Bono just seems to come out of a crumpled piece of paper!! I love it does anyone know how to ,if they do,get prints of this and others,genius work!!!! It is sad that this great artist had to die. U2;s words about him and his outstanding work are very heartwarming, expressing their deep and longtime relationship to this inspiring painter. 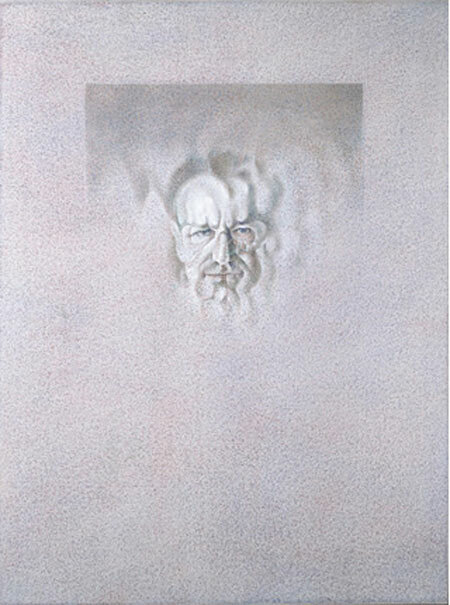 The portrait of Bono is very haunting, with his face coming out of a wide and mysterious space. Louis Le Brocquy was one of those artists with the exceptional ability to create his own reality by using subtle layers of colour. With a seemingly minimalistic colour palette he succeeded to reveal a whole spectrum of human emotions. After his death his beautiful work will continue to shine. 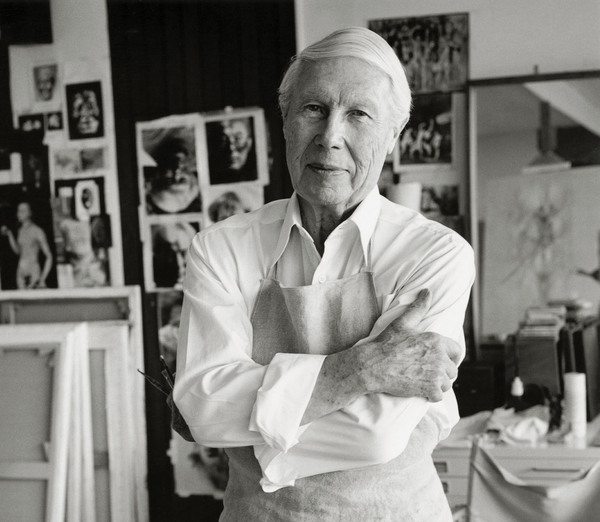 Rest In Peace, Louis Le Brocquy. His head pieces really get at the essence of the subject, don't they? The portrait of Bono has images of Bob Hewson in it and beyond the hallucinatory doubling, lies the spirit of the man. He was one of my favorite artists, I'm so saddened by his death, but this is a nice little tribute. Thanks!